The ultra-retro St. Charles Avenue Streetcar will take you close to Lafayette Cemetery No. 1, the gravesite of Louis de Pointe du Lac's (Lestat's companion and fellow vampire in Rice's The Vampire Chronicles) wife and child and where Louis was turned into a vampire by Lestat. During the filming of Interview with the Vampire, the blocks between 700 and 900 Royal Street in the French Quarter were used for exterior shots of the home of the vampires Louis, Lestat, and Claudia, trapped through time with an adult mind in the body of a six-year-old girl. In fact, the streets there and around Jackson Square were covered in mud for the movie as they had been in the 1860s when the scenes took place. The perfectly preserved Gallier House at 1132 Royal Street was Anne Rice's inspiration for the vampires' house, and very close to that is the Lalaurie House, at 1140 Royal Street. Delphine Lalaurie, portrayed by Kathy Bates in American Horror Story: Coven, was a real person who lived in that house and was indeed said to have tortured and bathed in the blood of her slaves—even the blood of a slave girl's newborn baby—to preserve her youth. She was never seen again in New Orleans after an angry mob partially destroyed her home on April 10, 1834. There is a scene in American Horror Story where Delphine escapes from the coven's mansion and sits dejectedly on the curb in front of her old home. A private residence now, some locals still swear that the Lalaurie House is haunted, and that the clanking of chains can be heard through the night. Built in 1789, Madame John's Legacy (632 Dumaine Street) is the oldest surviving residence in the Mississippi Valley. In Interview with the Vampire, caskets are shown being carried out of the house as Louis' (Brad Pitt) voice-over describes the handiwork of his housemates Claudia and Lestat: "An infant prodigy with a lust for killing that matched his own. Together, they finished off whole families." 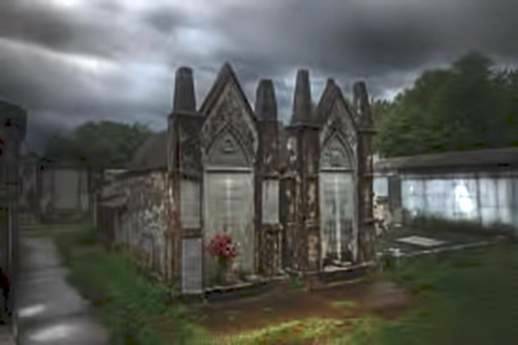 As a service to this most vampire-friendly city, the New Orleans Vampire Association (NOVA) describes itself as a "non-profit organization comprised of self-identifying vampires representing an alliance between Houses within the Community in the Greater New Orleans Area. Founded in 2005, NOVA was established to provide support and structure for the vampire and other-kin subcultures and "to provide educational and charitable outreach to those in need." FANGTASIA, named with permission from HBO after the club featured in True Blood, is an affiliation of New Orleans-based musicians and film and TV producers who for three years have presented a multi-day vampire-centric event of the same name, the first two years at 1135 Decatur and last year at the Howlin' Wolf. You can follow their plans and exploits via their blog HERE. 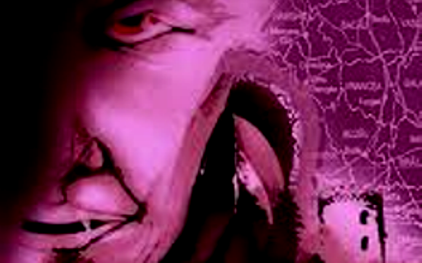 Next year FANGTASIA hopes to create "the South by Southwest of Global Vampire Culture" at an as yet undisclosed location in Greater New Orleans. 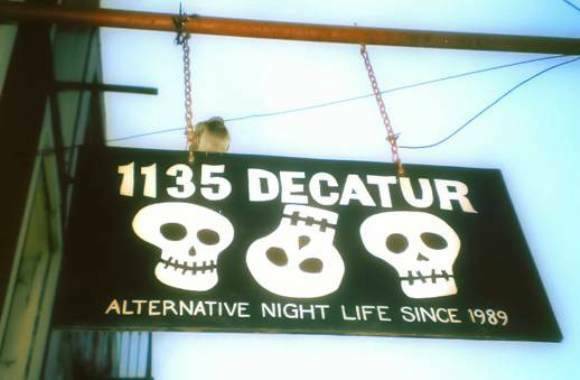 On the subject of vampiric Halloween events, for 25 years, the Anne Rice Vampire Lestat Fan Club has presented the annual Vampire Ball, now as part of the four-day UndeadCon at the end of October; and on the weekend nearest Halloween Night (for example, November 1, 2014) the Endless Night Festival and New Orleans Vampire Ball takes place at the House of Blues. 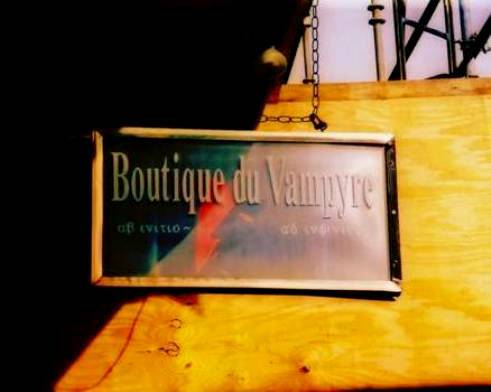 The Boutique du Vampyre is a moveable (literally—they're known to change locations on short notice) feast of vampire and Goth-related odds and ends, many of them locally made. There are books as well—you may even find a copy of In the Footsteps of Dracula: A Personal Journey and Travel Guide if they're not sold out. Their website itself holds a surprise treat: a link to a free video cast of the first two seasons of Vampire Mob, which is just what the title implies. 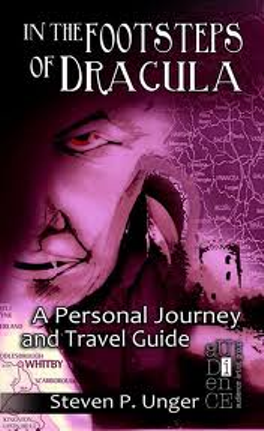 In the Footsteps of Dracula: A Personal Journey and Travel Guide meticulously follows Bram Stoker's depiction of Jonathan Harker's 1893 expedition from London to Count Dracula's castle on the Borgo Pass in Transylvania in text and almost 200 pictures. In the Footsteps of Dracula also includes every site connected with the historical Prince Dracula, that is, Vlad Ţepeş or Vlad the Impaler. 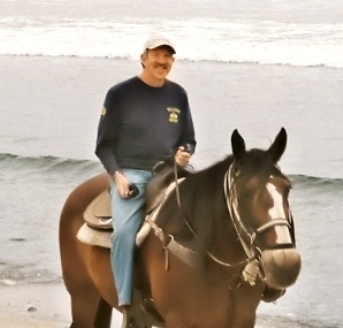 Unger has been a traveler and writer from the time he learned to type with two fingers on a manual typewriter in the basement of his parents' house in Ferndale, Michigan. The typewriter sat on top of a ping-pong table, and the basement, through all of the seasons, was so damp that the pages would stay curled up when he rolled them out from the platen.